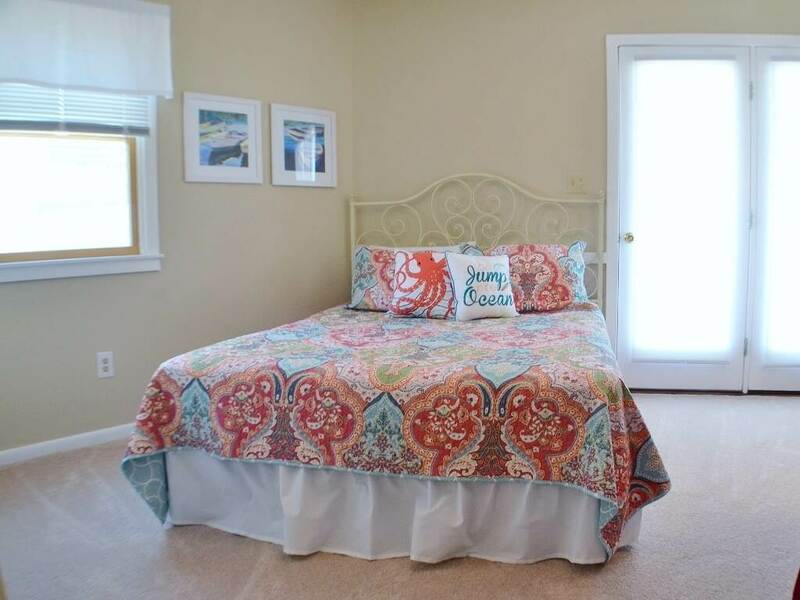 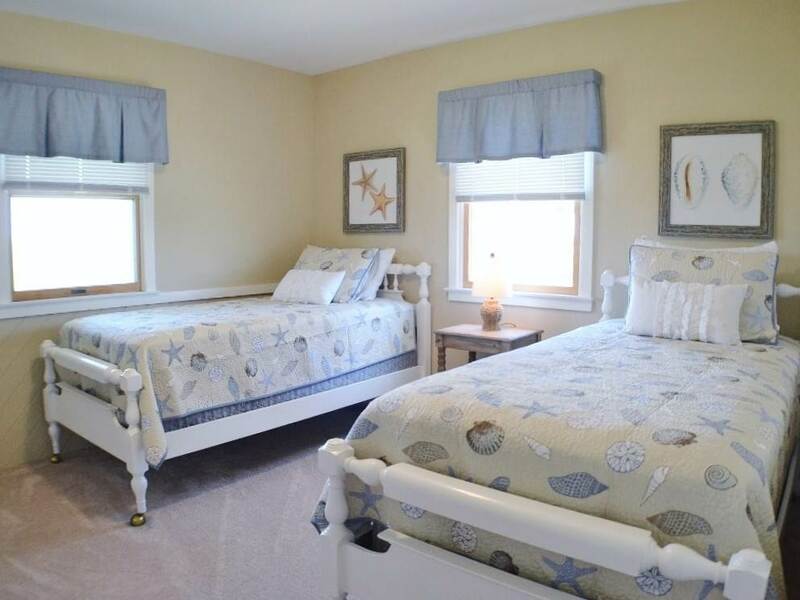 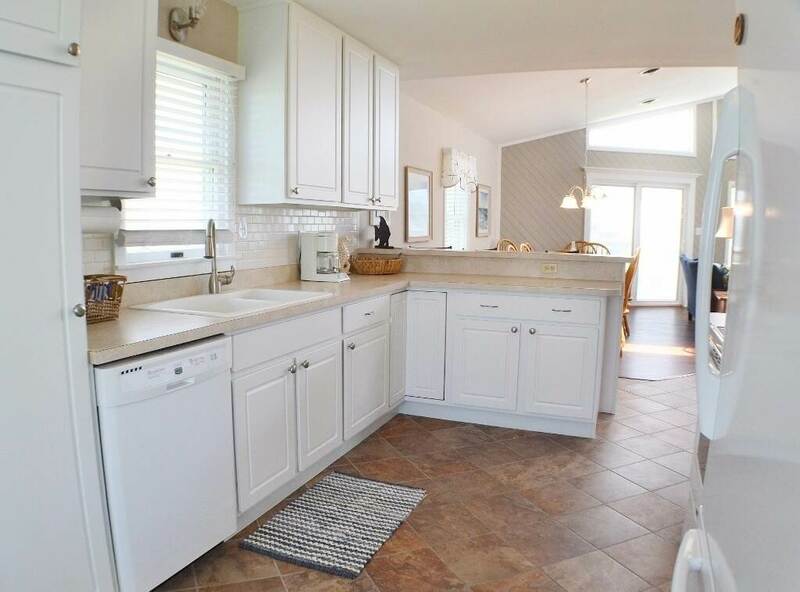 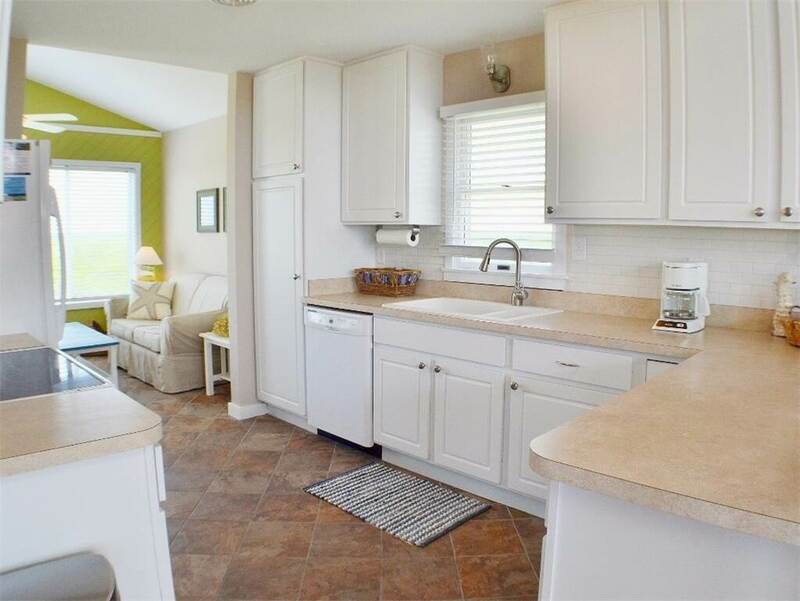 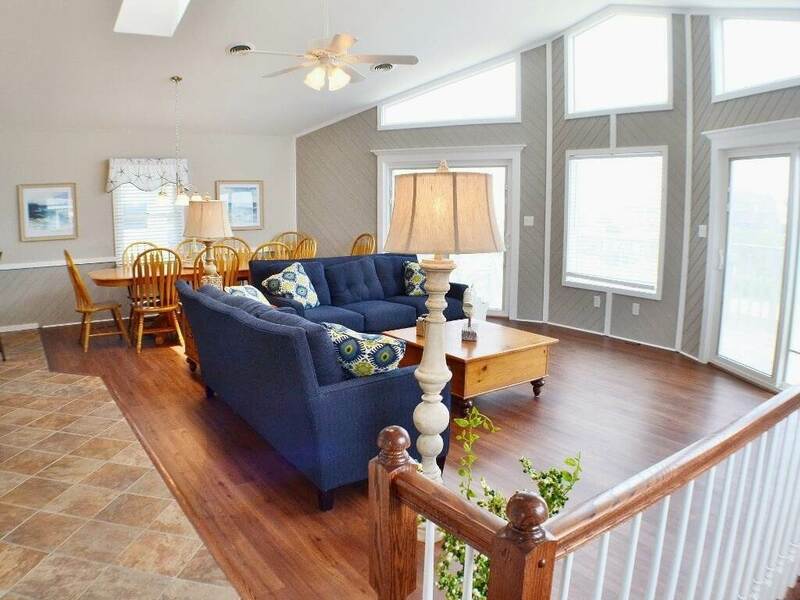 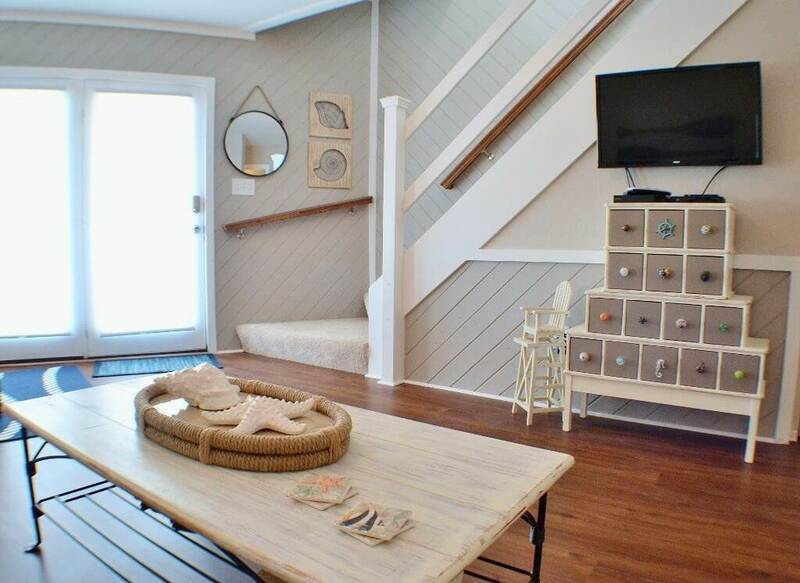 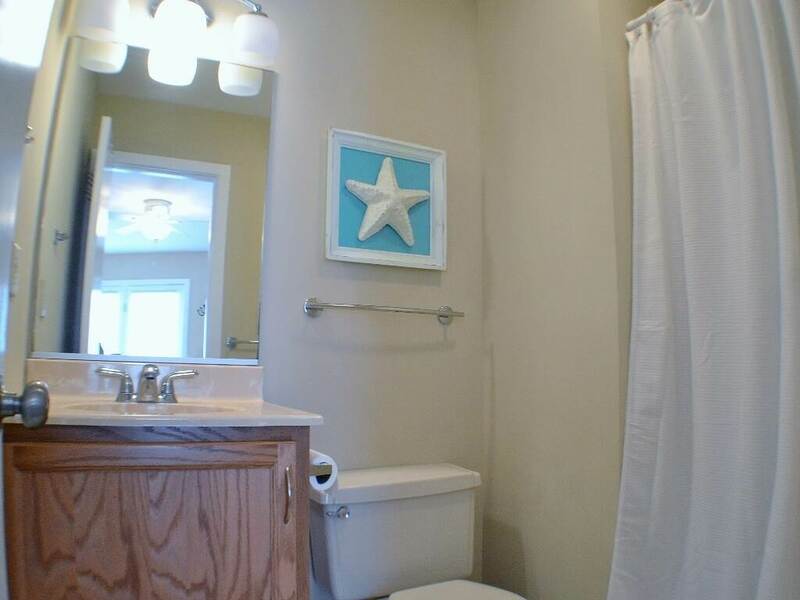 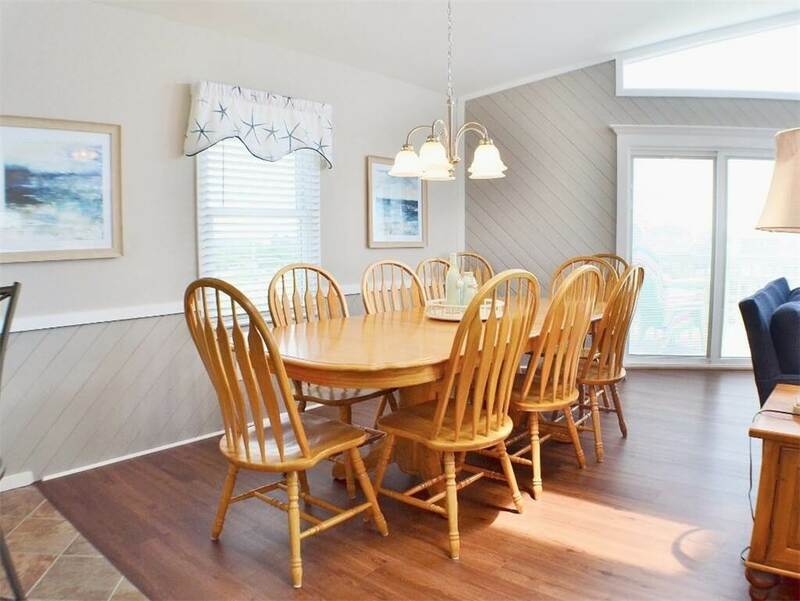 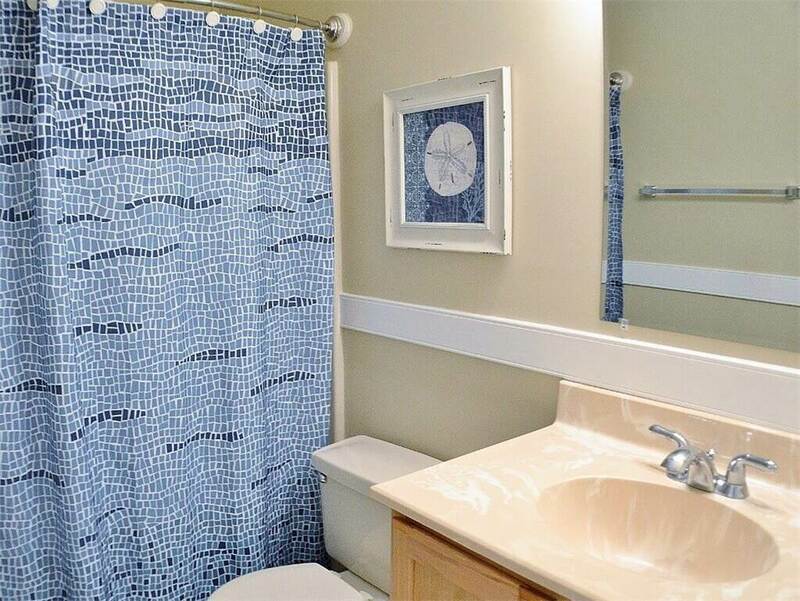 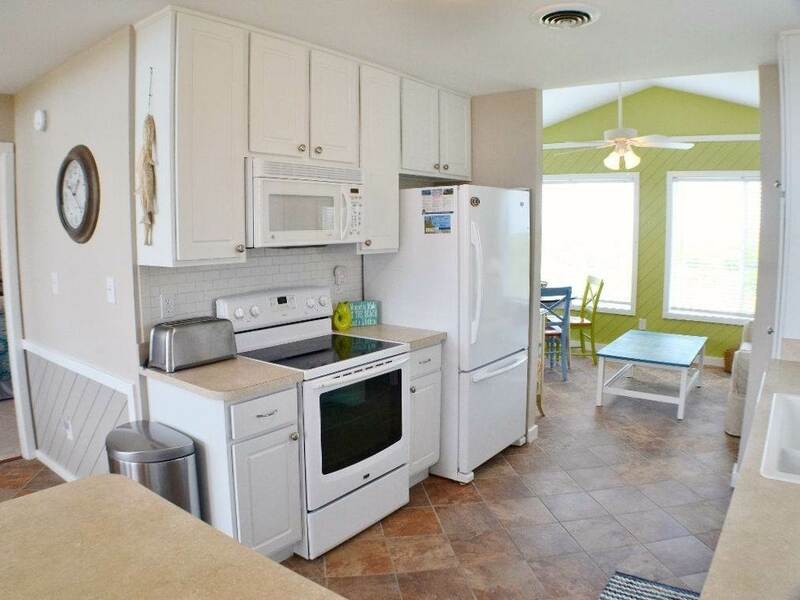 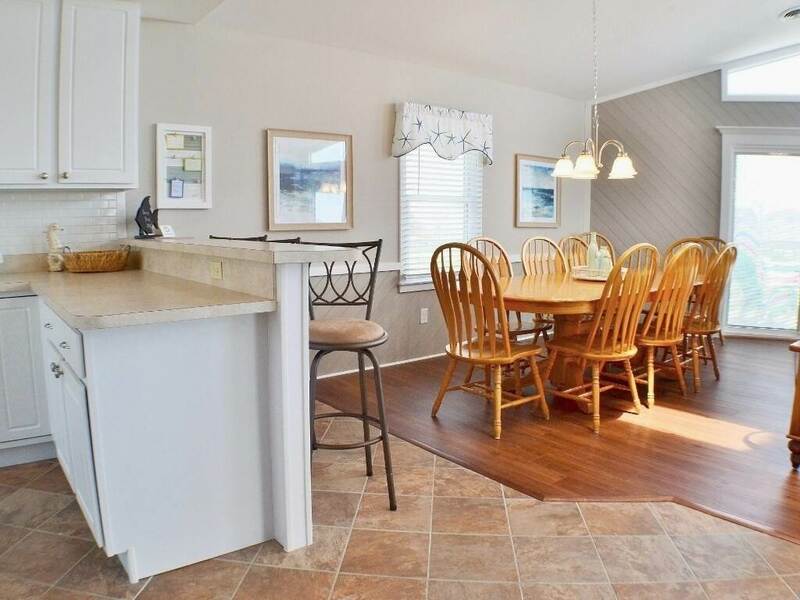 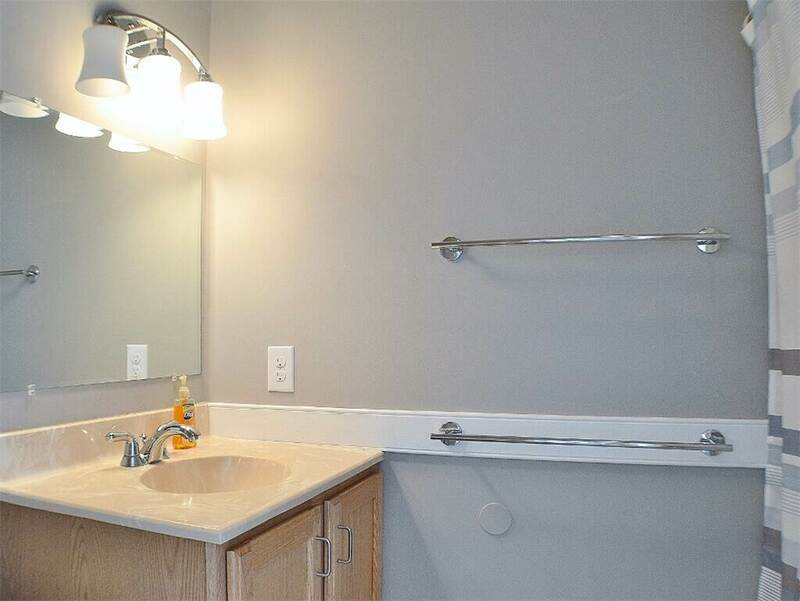 You and your family will enjoy a great vacation in this fully remodeled, well maintained home. 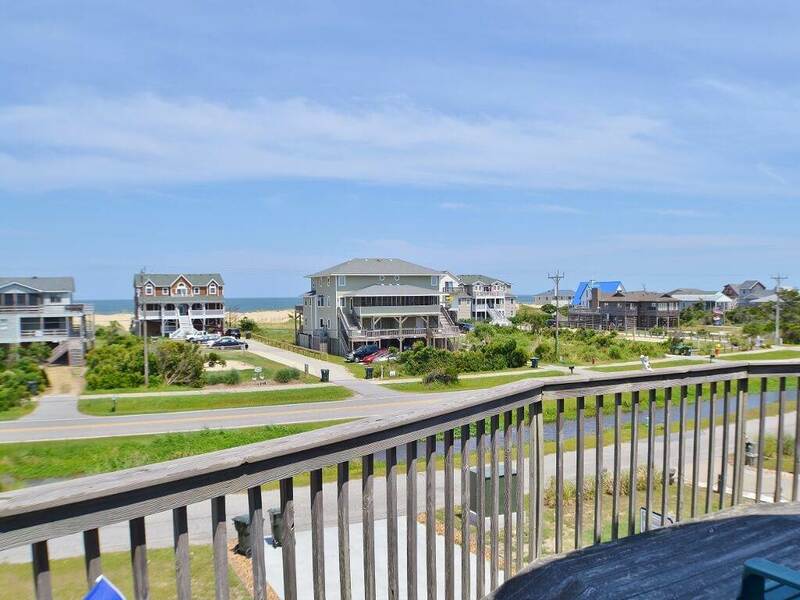 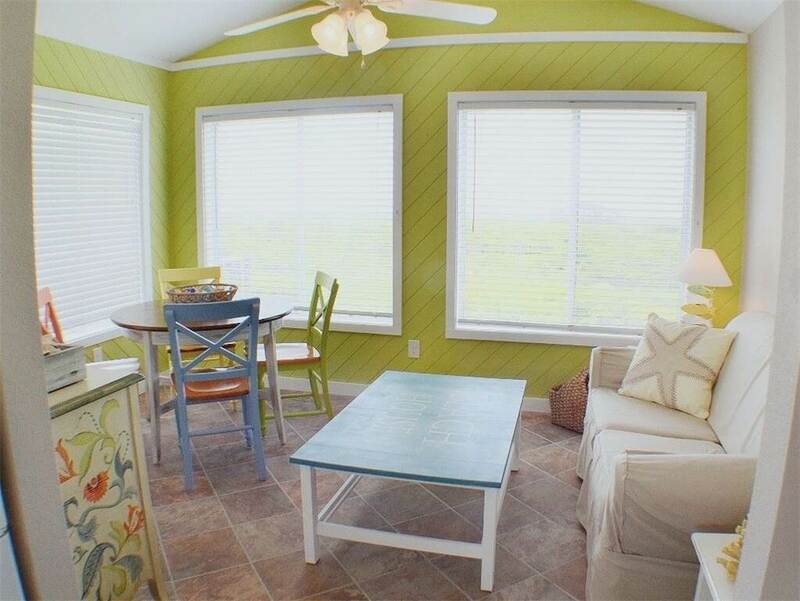 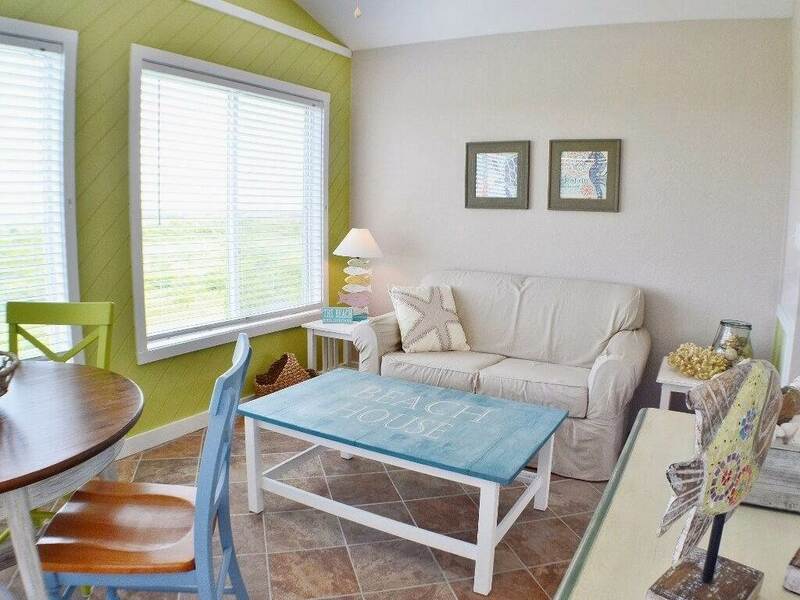 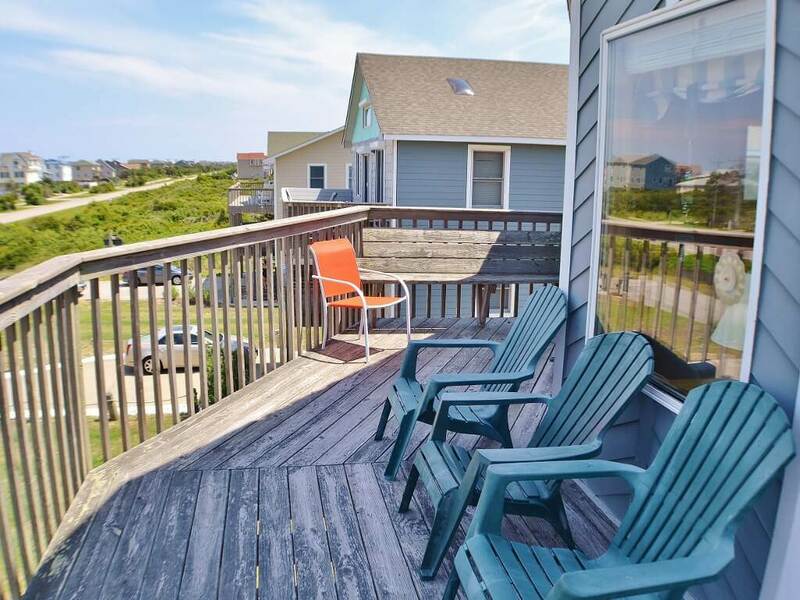 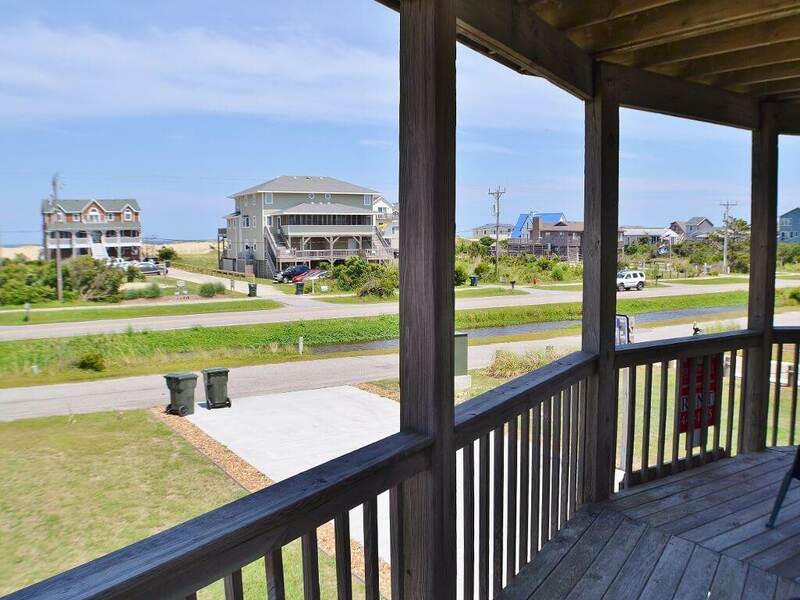 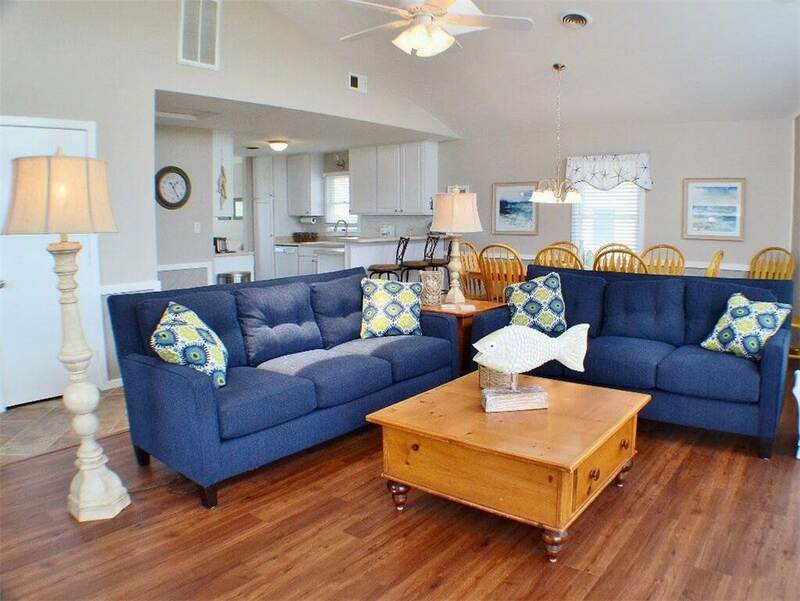 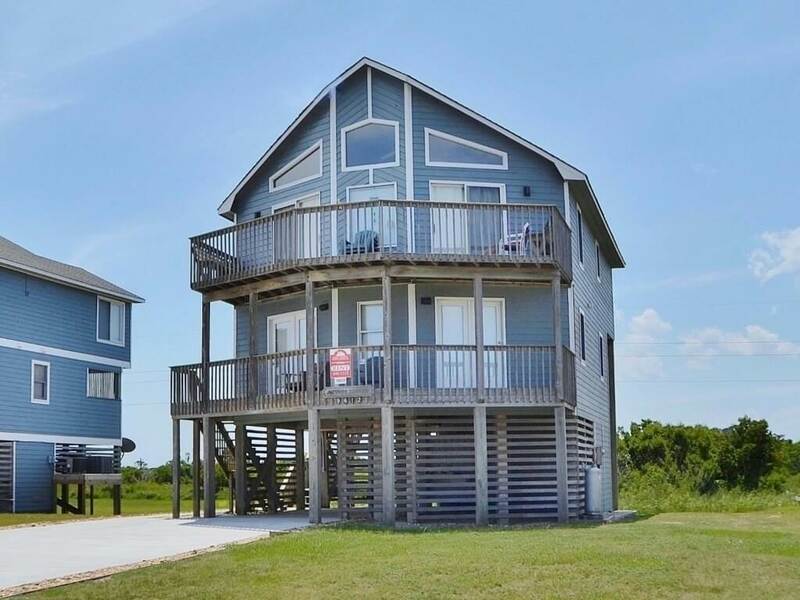 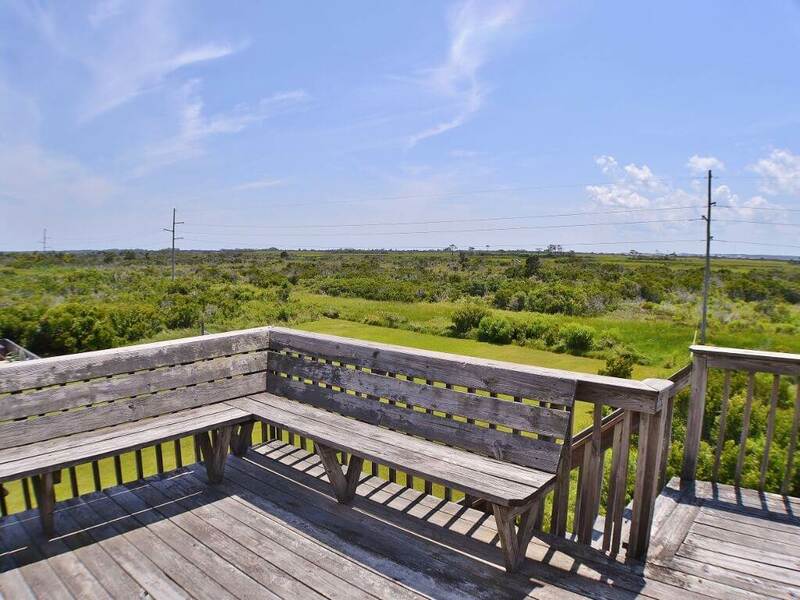 Enjoy ocean, sound and park views from multiple levels of covered and open decking! 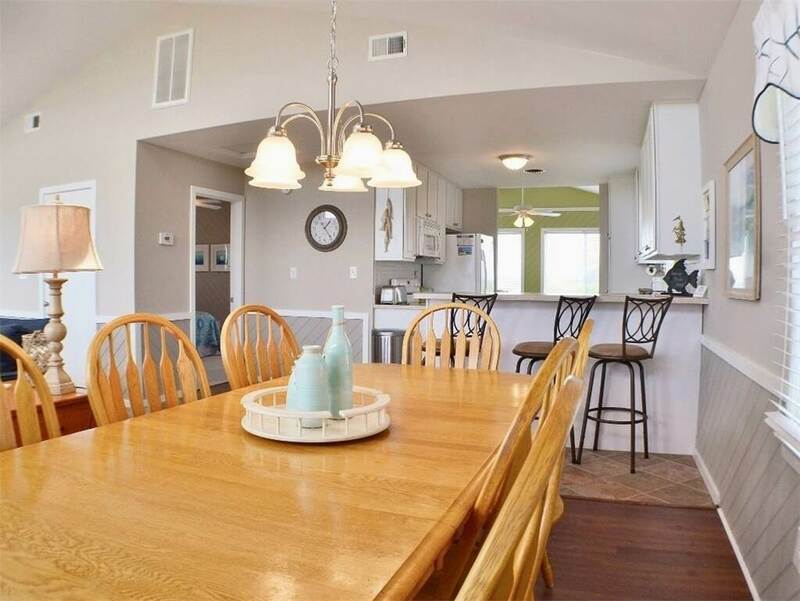 Neighboring on the National Wildlife Refuge, the South Creek Acres subdivision offers community amenities for their guests including a community pool and tennis courts. 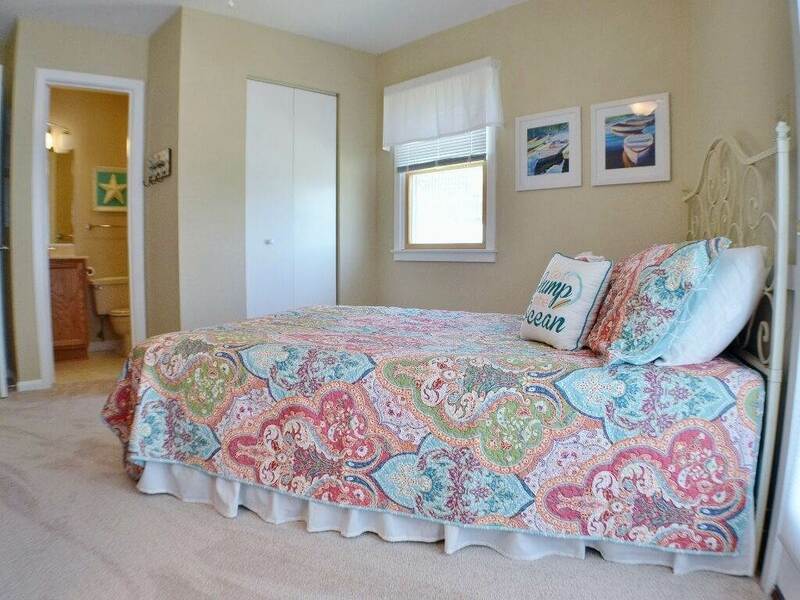 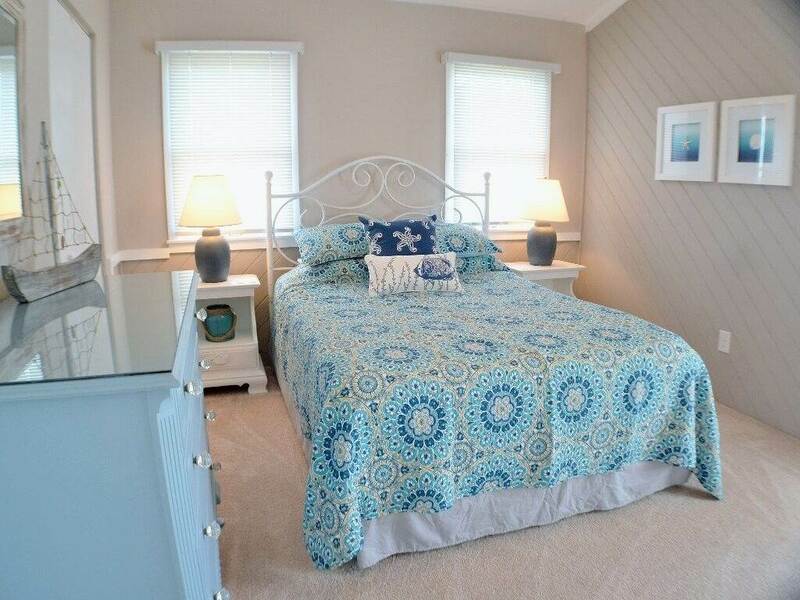 Actor’s Equity includes a master suite on both levels with private decks. 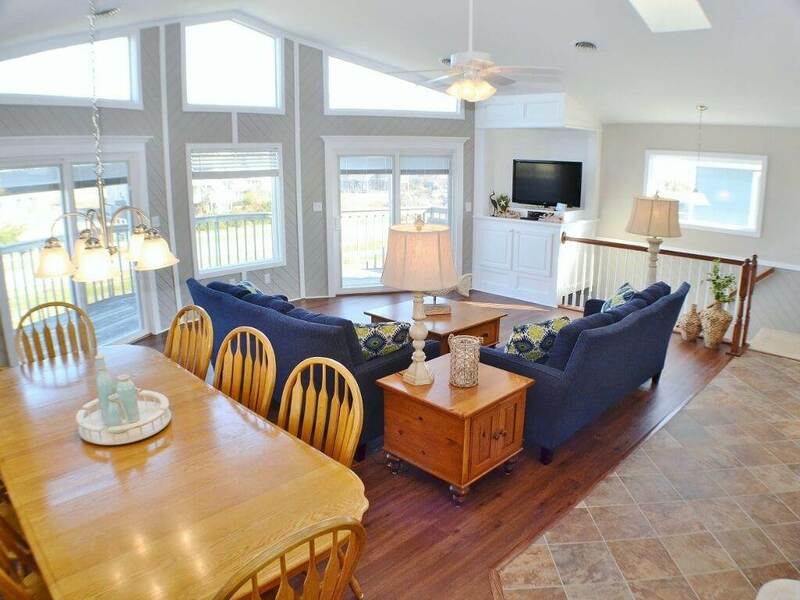 Delight in both sunrises over the ocean and colorful sunsets over the sound! 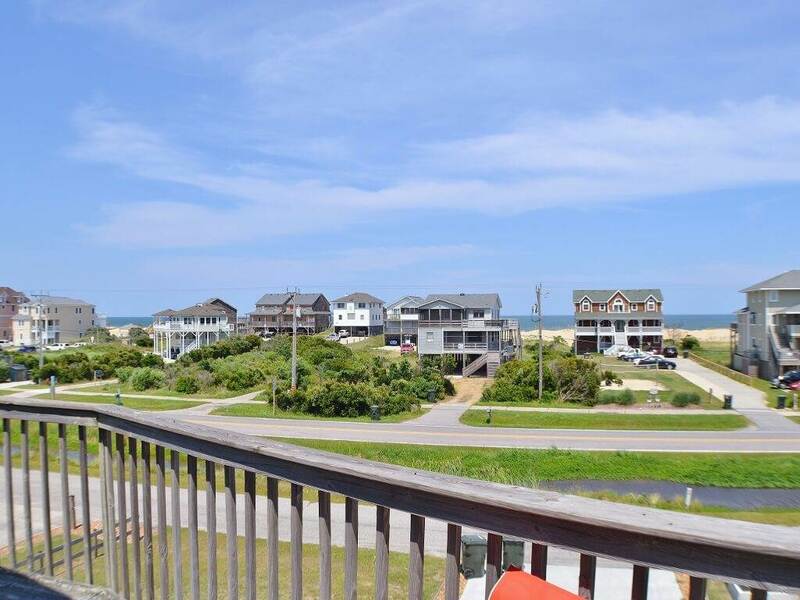 Take a day trip south to Hatteras and Ocracoke or over to the Town of Manteo and the NC Aquarium. 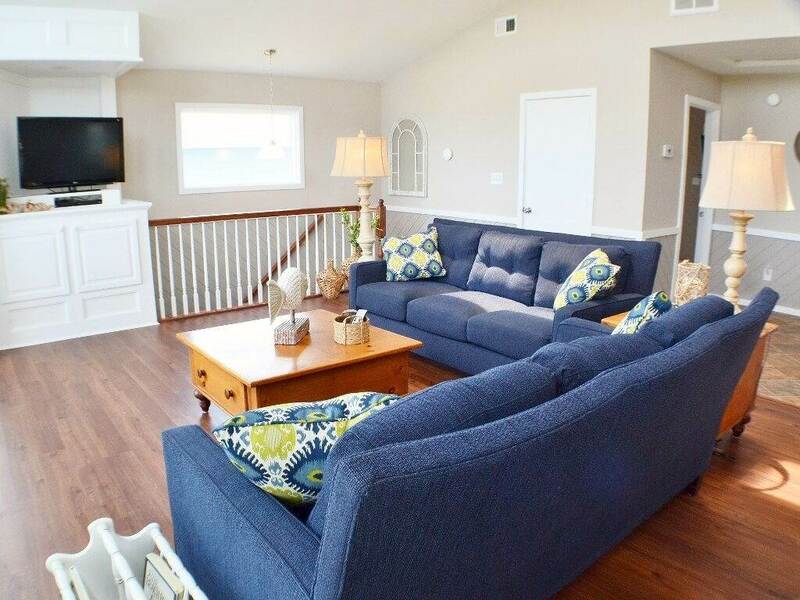 Lastly the home offers keyless entry to make your check in process even more convenient! 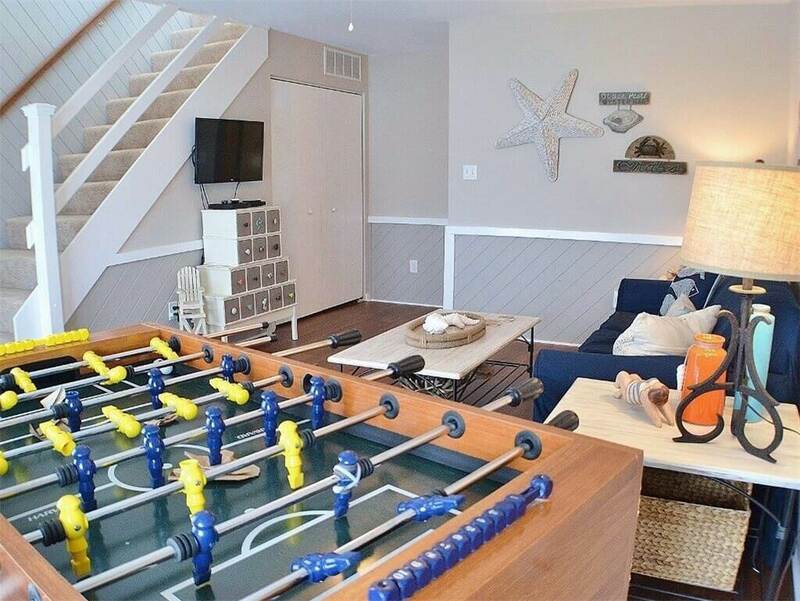 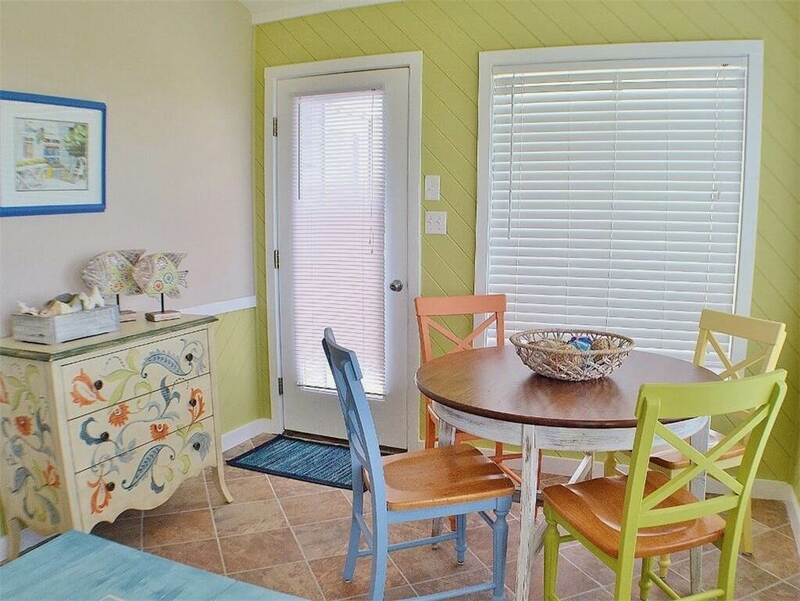 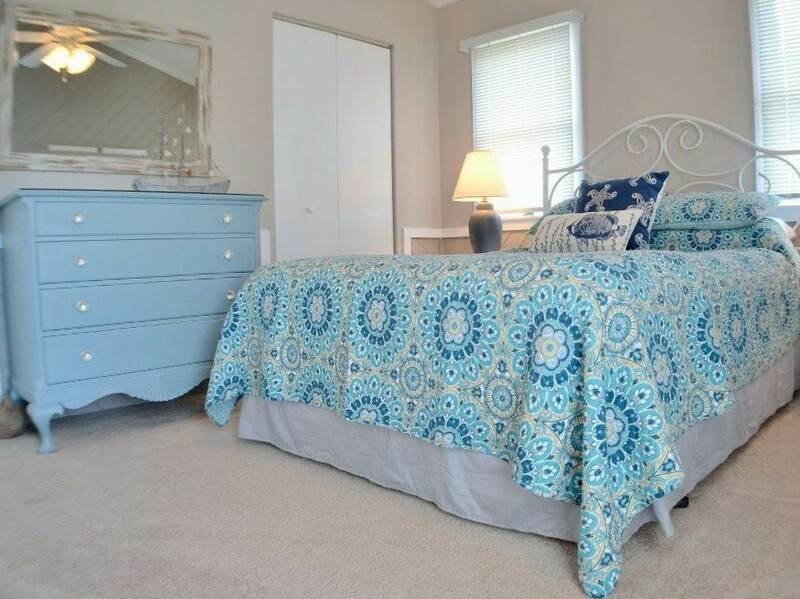 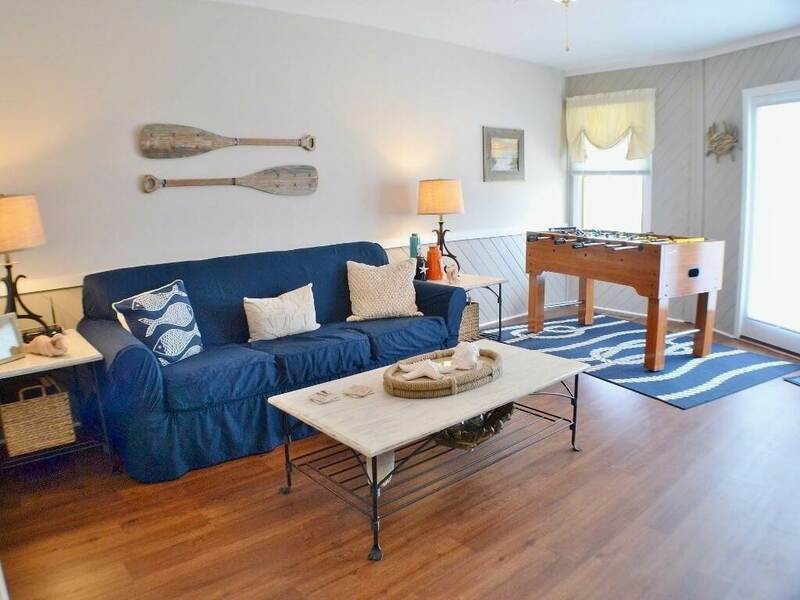 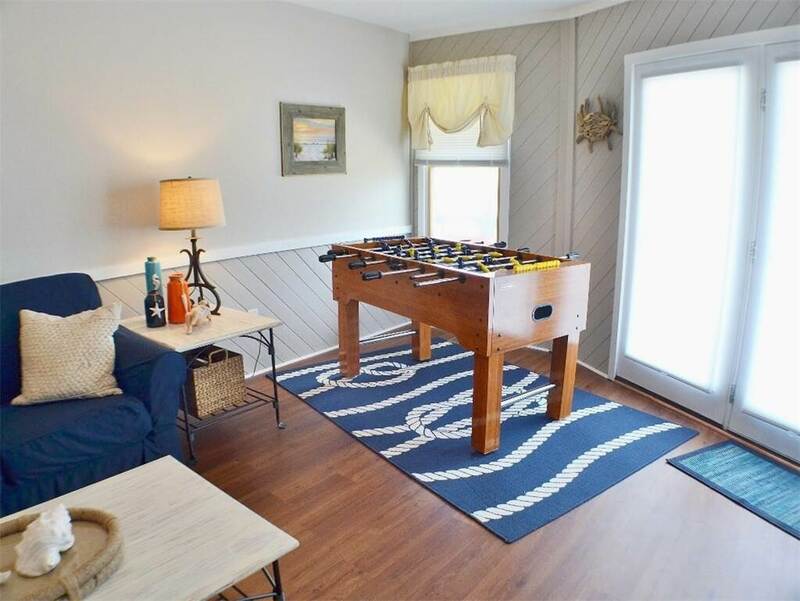 Ideally located in a nice neighborhood, just a short walk to the beach, Actor's Equity is sure to be your family's favorite for years to come! 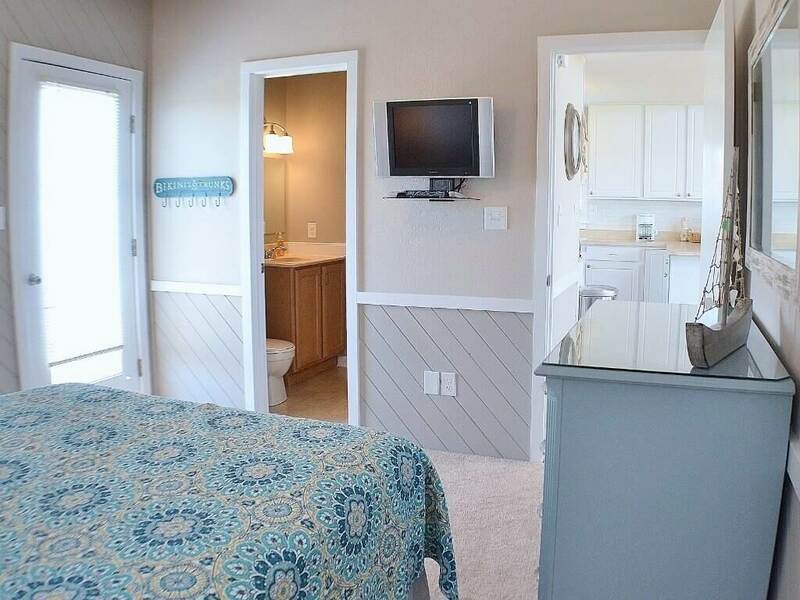 GROUND LEVEL: Parking, Fish Cleaning Table, Enclosed Outside Shower, Storage Room with Refrigerator. 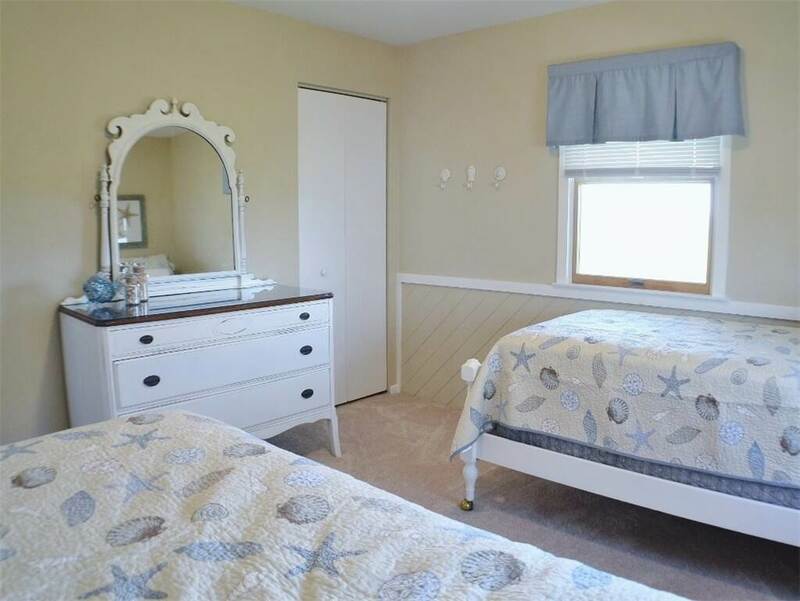 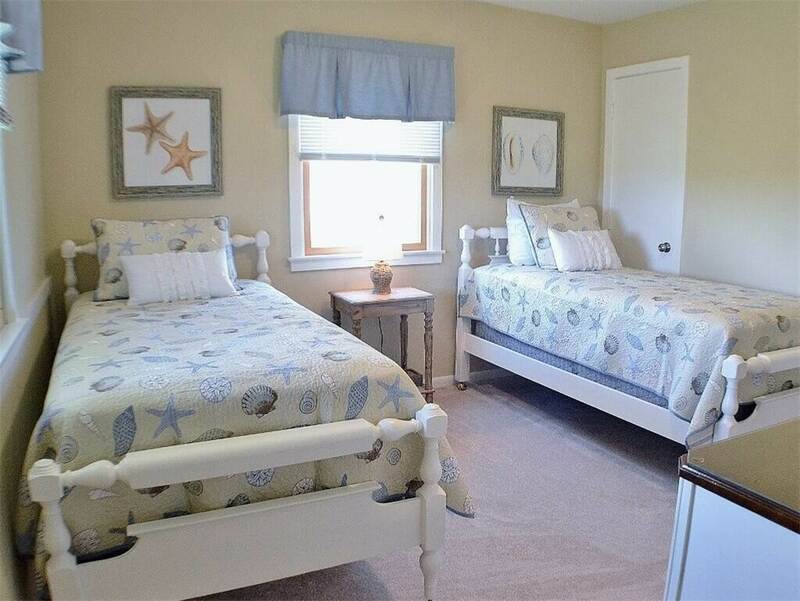 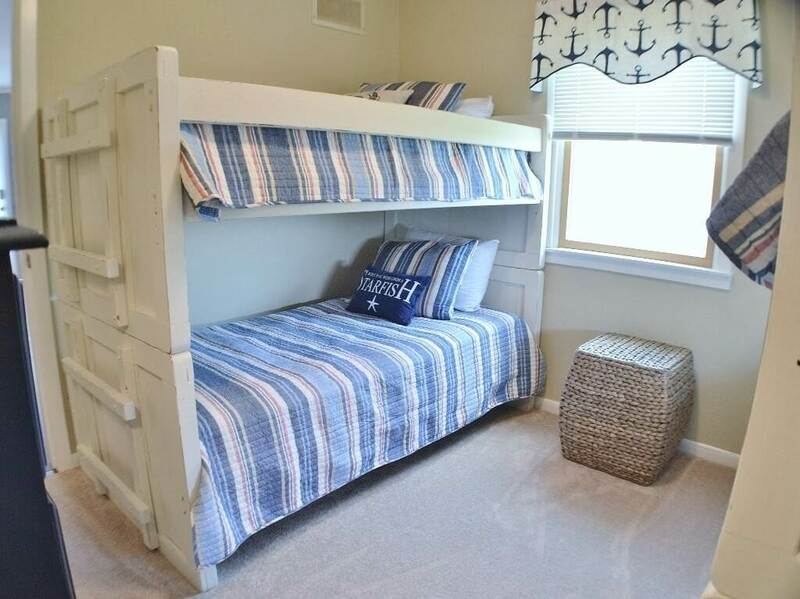 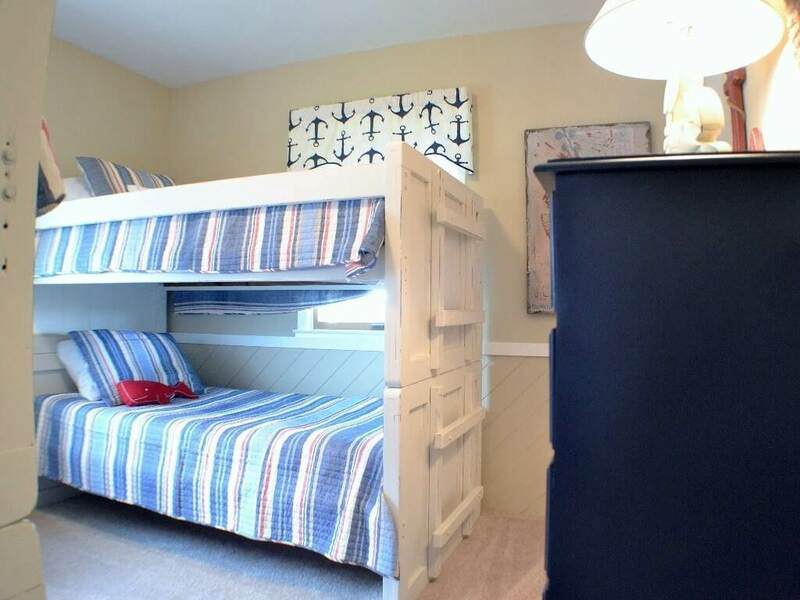 LEVEL 1: Master Bedroom with Queen, Den, Bedroom with Twins, Bedroom with (2) sets of Bunks, Full Bath, Laundry Area. 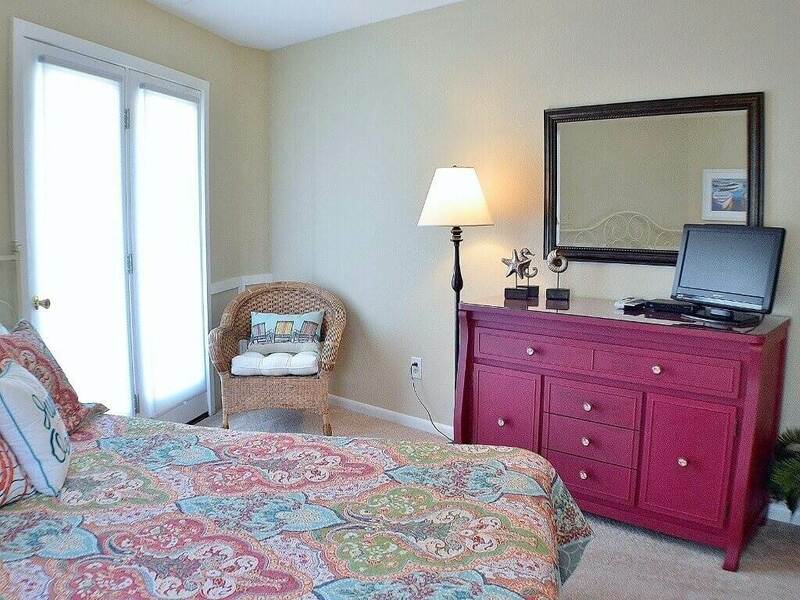 LEVEL 2: Living Room, Kitchen, Dining Area, Florida Room, Master Bedroom with Queen.